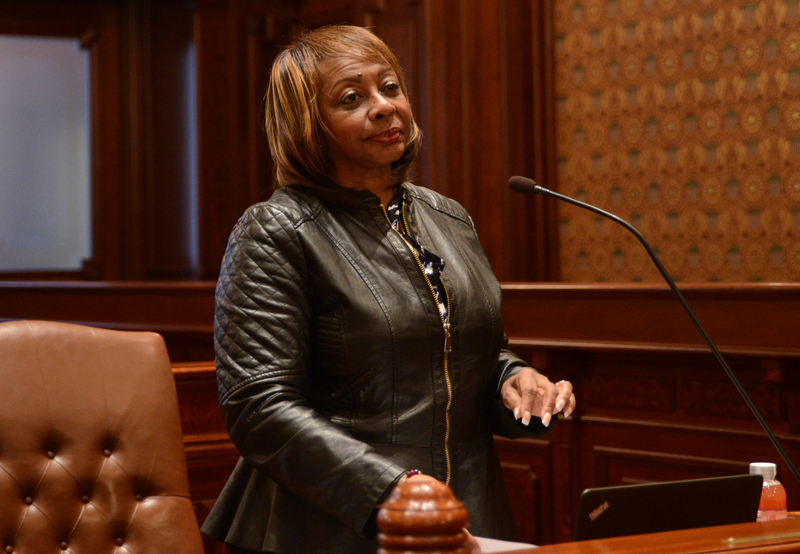 In an effort to protect women’s healthcare, economic security and justice, State Senator Mattie Hunter (D- Chicago) passed legislation that would make all feminine hygiene products free for students grades 6-12. House Bill 3215 is an initiative of “Illinois Moving Women Forward” a group that aims to remove gender inequalities in order to enable women to achieve their full potential. Of their three principles, the group’s main focus is to protect and improve the access to affordable healthcare for women. The governor and my colleagues across aisle have given us all false hope. They did not vote for their own ideas in the Grand Bargain, nor did they vote for their proposed budget cuts. It’s May, and time is running out. The package we passed will fully fund the next fiscal year which includes funds to education, MAP grants, breast and cervical cancer screening, addiction treatment and funding for programs like Teen Reach. All of these programs are essential to the lives of our citizens. They should not be excluded or cut from the budget. The programs are vital and work to restore and improve the quality of life for our constituents. The people of this state are suffering. How much longer will they have to wait? It’s time we focused on an actual budget that will bring fiscal certainty to our citizens. Today was Alpha Kappa Alpha Advocacy Day in the Illinois State Capitol. Alpha Kappa Alpha Sorority, Inc. was founded on the campus of Howard University in 1908 and incorporated in 1913. The organization was founded on academic excellence and to be the “Service to All Mankind,” especially toward African-American communities. Today, many of the women spoke to legislators and attended educational sessions to learn about the legislative process.